Our rolling hostel (capacity: 10-12 travelers) has five comfortable sleeping cabins for two persons, comfortable individual seats and a toilet. 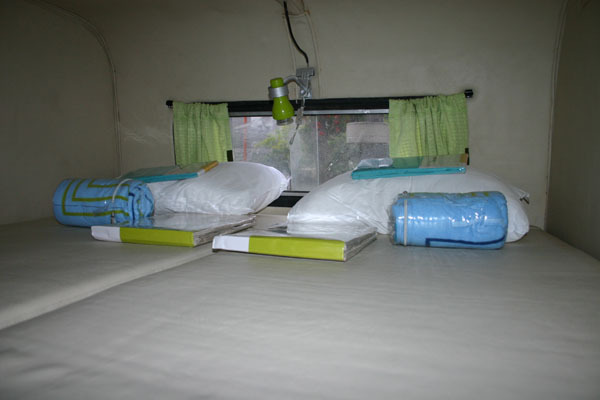 Upon choice you can sleep inside the rolling hostel or in the tent camp surrounding it. 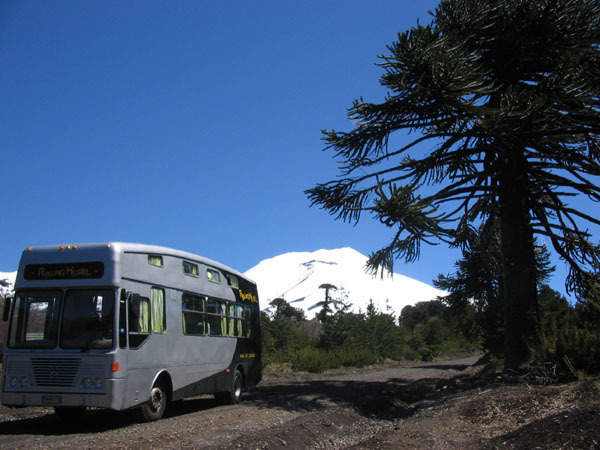 Most of the time we overnight with our rolling hostel in nature parks on campings with multiple toilet and shower services. 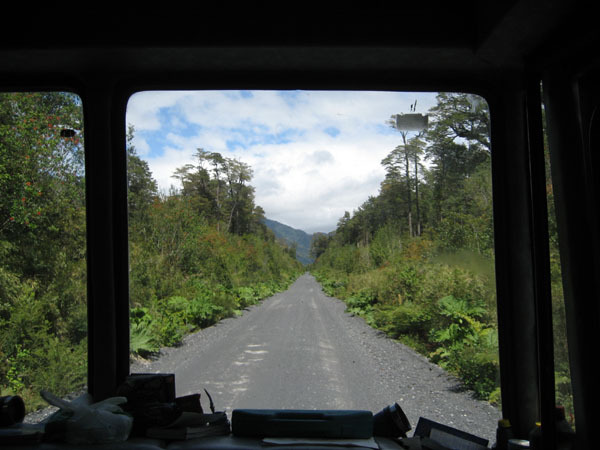 Sometimes we overnight with our rolling hostel in abandoned natural environments far from civilization. Some days we stop over to sleep in a 'normal' hostel without any wheels. 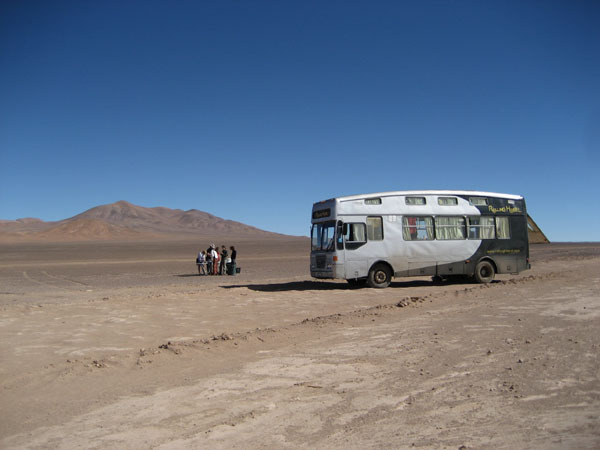 Traveling on board of our rolling hostel gives you the possibility to enter more abandoned natural environments and to overnight besides glacial mountain lakes, volcanic geyser fields or in the middle of the desert. 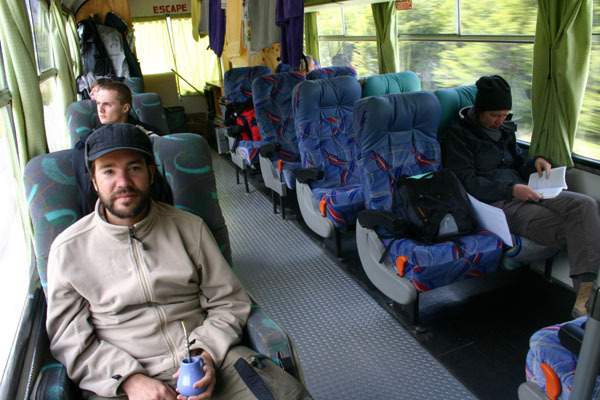 Touring with the rolling hostel certainly means a time gain on your travels. You simply don't have to wait (overtime) public transport or other travel connections! Additionally you don't have to drag your luggage in and out of hotels, on and off buses, etc. All your luggage is safely guarded inside the rolling hostel under the surveillance of our driver.